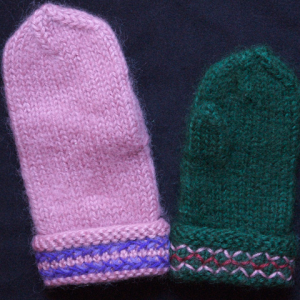 Sweden is one of the few places where the introduction of knitting can be dated. 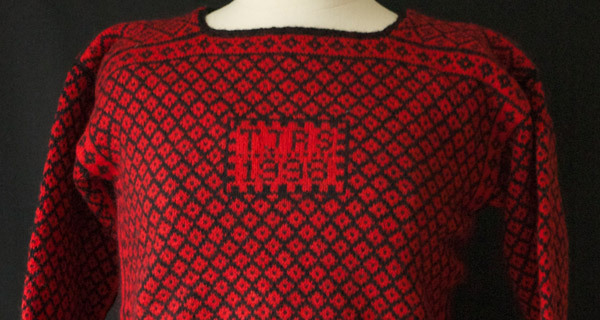 Magna Brita Crasaus, the Dutch wife of the newly appointed governor of the Halland district in the mid-17th century, is credited with bringing this craft into the country. 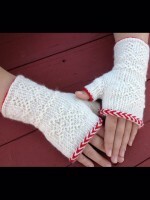 She introduced woolen hand knitting for the commercial scale. 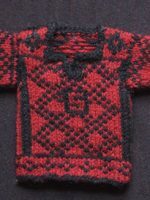 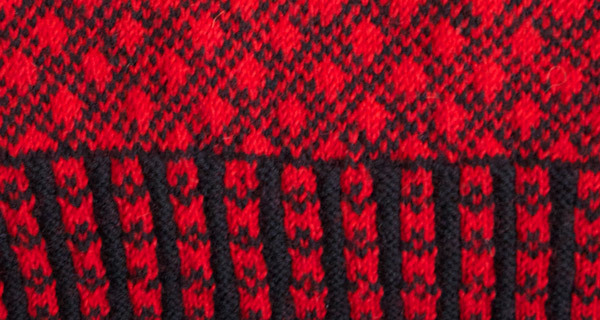 Prior to that time, techniques using eyed-needle weaving, such as nålbinding, were used which resembled knitting. 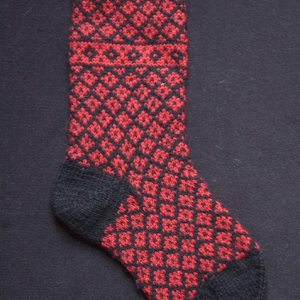 It was not until the 18th century, when stockings became popular, that knitting in Sweden realized its full commercial potential. 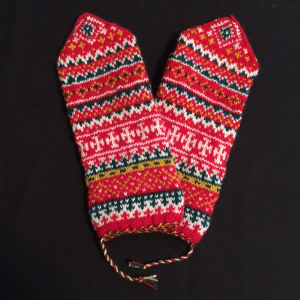 Before then, cloth leggings, shoe hay, short socks, over leggings, cloth bindings, and snow socks (worn over shoes) were used, and many of these items were constructed of nålbinding. 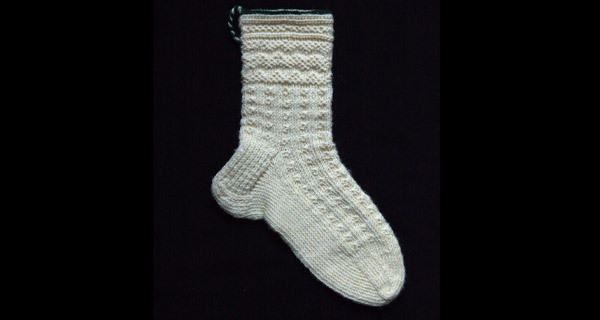 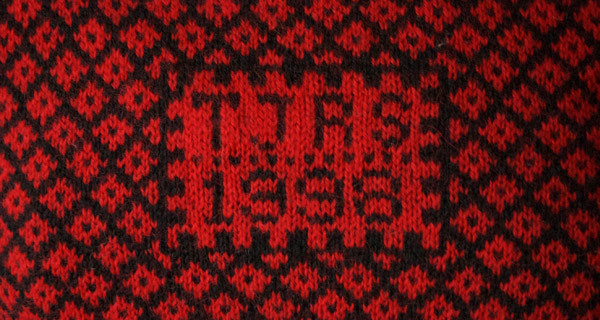 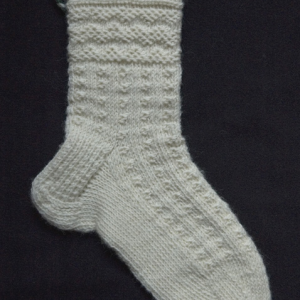 Knitting parties, or “bingegillen” (Halland dialect) were organized for cottage industry. 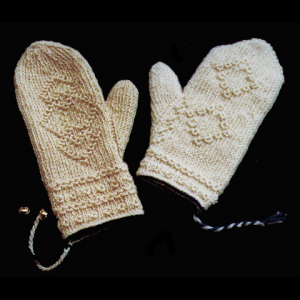 In the Laholm district alone, the production totaled 96,000 sweaters, 66,000 pairs of whole and half stockings, and 28,000 pairs of mittens in one year in the 1850’s. 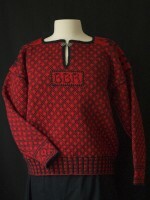 Jackets were also knitted commercially. 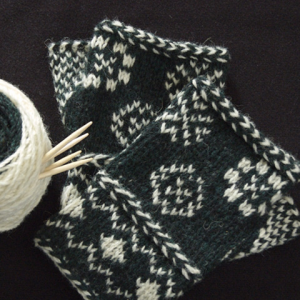 Knitting was so valued in Sweden that it was accepted as payment for taxes in the 19th century! 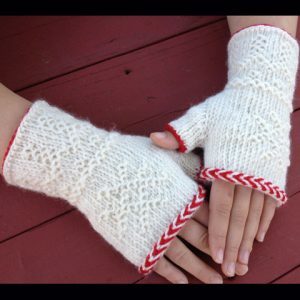 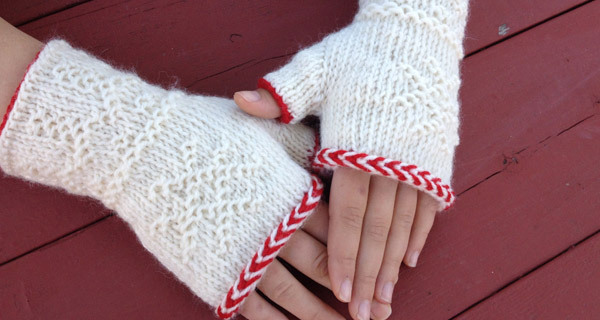 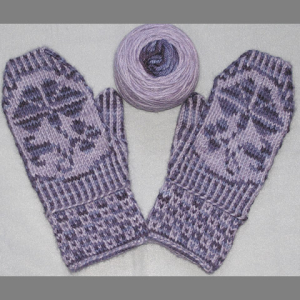 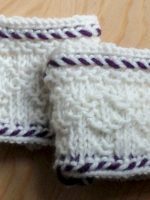 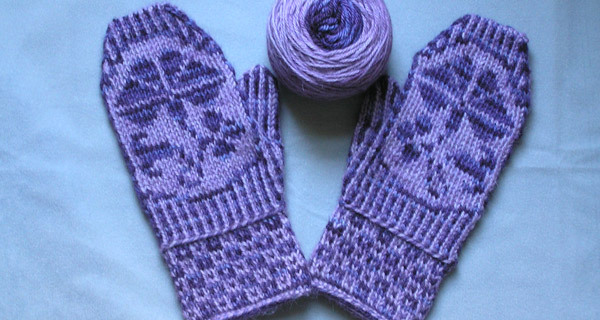 Sweden is also the birthplace of Tvåändsstickning, known in the United States as Two-End, or Twined, Knitting. 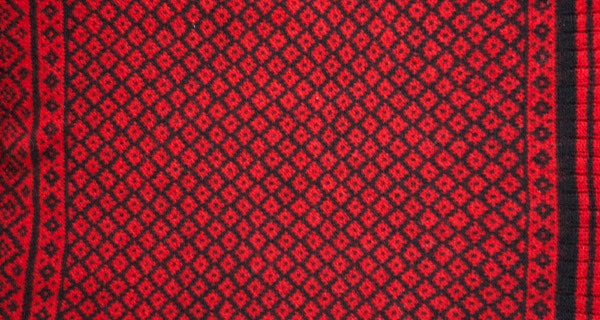 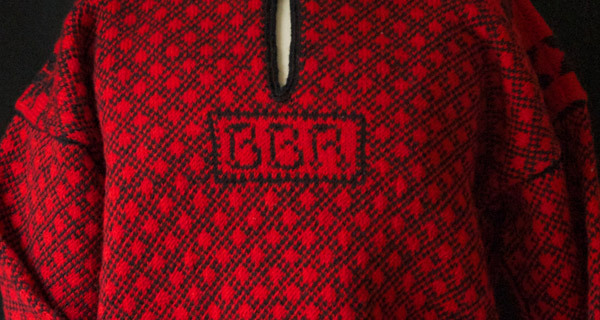 This technique uses two strands of yarn from the same ball to create a thick, warm, and durable fabric on which embossed motifs can be worked. 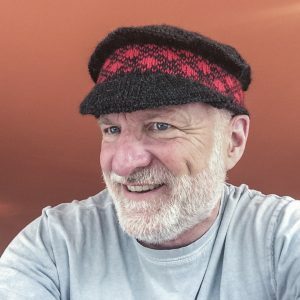 I enjoy teaching this technique as well as designing with it.